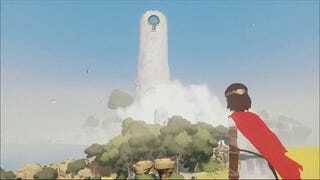 Here is yet another look at Rime, the Wind Waker-esque action/adventure game that was announced for PS4 last year. Goddamn, I say. Goddamn. Forget Uncharted and The Order: this is the prettiest game on the PlayStation 4. BY FAR.